An international collaboration of astronomers has conducted some incredible observations of Sagittarius A*, the supermassive black hole at the center of the Milky Way. They got radio telescopes distributed across the globe to act as one and were able to see that the emission from the black hole is coming from a very small area, smaller than expected. 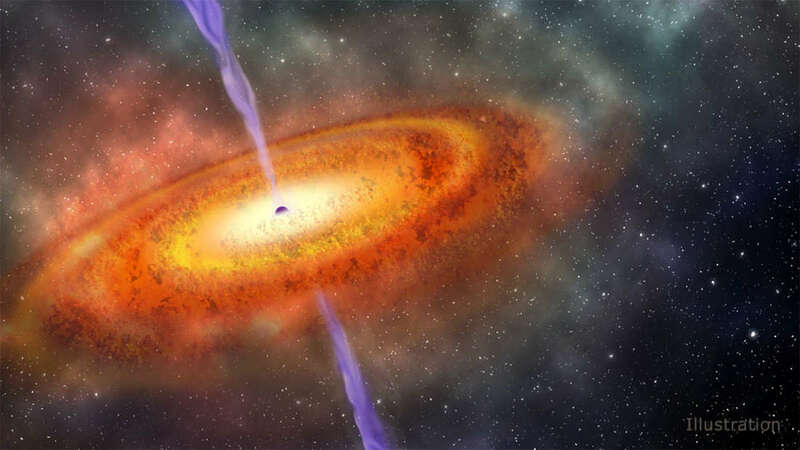 Supermassive black holes often produce jets of material whose emission can be detected in radio waves. Sagittarius A* is unfortunately shrouded in gas clouds, making its emission difficult to observe. 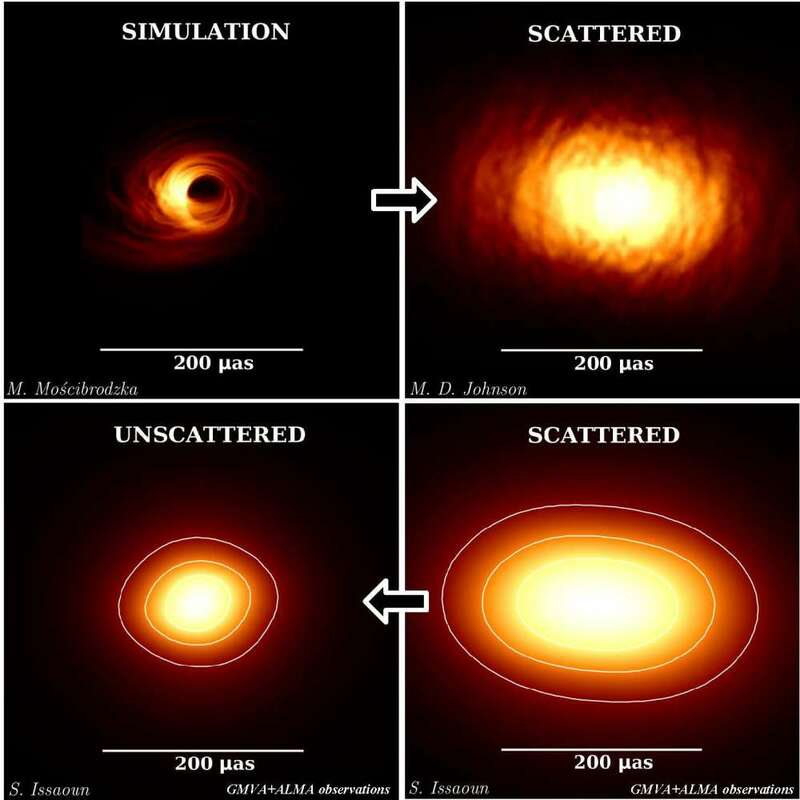 The use of many radio telescopes and new software analysis have finally delivered a clearer picture but the findings suggest two very different scenarios. As reported in the Astrophysical Journal, our local supermassive black hole is either very peculiar with a radio emission not coming from the jet or we are in a very special position with the black hole's jet pointing directly at us. The processed data indicates a small but highly symmetrical emission coming from a tiny (300 millionth of a degree or a bit less than the Earth-Sun distance) portion of the sky. This is not the first time scientists have suggested we might be in this special position. This scenario was also proposed by researchers a few months ago, who looked at the movement of gas and stars around Sagittarius A*. Having two different approaches suggesting the same thing is very important but it is not yet a confirmation. Sagittarius A* weighs roughly 4 million times the mass of the Sun and is 44 million kilometers (27 million miles) across. This is big by human standards but very small in terms of space stuff. And it is very far away, roughly 26,000 light-years, making it incredibly difficult to observe what goes on around it. It would be like looking at a CD on the surface of the Moon. This is why astronomers needed to connect as many distant radio telescopes as possible. The observations can be combined as if they were made by a single Earth-sized telescope. And while these observations are very exciting, more are yet to come. In April 2017, the Event Horizon Telescope observed Sagittarius A* using even more telescopes and astronomers hope their observation will give us an even closer look at our local supermassive black hole.